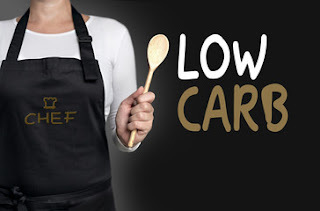 Home » How Do Low Carb Diets Work? How Do Low Carb Diets Work? The digestive System explains how low carb diets work. How do low carb diets work? That is a very frequently asked question amongst people who are looking to lose weight or improve their health. You’ve been told it’s a fantastic way get rid of those excess pounds, but perhaps you find it difficult to believe because low carb eating generally means consuming more fat than you might ordinarily consume, as well as more calories than other diets generally allow! Furthermore, low carb diets are not just for bump starting weight loss, they are excellent for losing weight at a steady pace and eventually reaching your desired weight. However, just like any diet regime, it will mean some changes to your daily routine and lifestyle. Again, just like any diet program, if you go back to your old way of eating once you’ve lost the weight, you’re only going to put the weight back on, since that’s how you became overweight in the first place. The good news is that low carb diets are not based on guess work and supposition. They are based on science and biology. The basic premise is that the body relies on three main macronutrients in order to function properly and those are protein, fats and carbohydrates. Macronutrients are where your body gets its energy from in the form of calories. Metabolism is the process by which the macronutrients are broken down by the body into a useable form, so your body can absorb the nutrients and utilize them properly. Protein, fat and carbohydrates are broken down by the body at different rates, depending on how easy they are to digest. Your body will get important amino acids from the protein it receives, which are the basic building blocks of every human being. Consuming fat will supply your body with glycerol and essential fatty acids. Fat is very important since glycerol is an essential bi-product of digestion, and your body cannot make it’s own essential fatty acids. Sugars and starches come from carbohydrates, which are the fastest way for your body to receive its primary source of energy. Carbohydrates are in fact a double edged sword, because when you eat too many simple carbohydrates in the form of products made from processed white flour and sugar, instead of complex carbohydrates in the form of vegetables for example, the body breaks down the food really quickly and easily into glucose, a form of sugar. Your body then releases insulin so the sugar reaches and is used by the cells. Your body cells can only hold a certain amount of sugar (fuel), so any excess is then stored in your liver and muscle tissues, as glycogen, for later use. Any remaining blood sugar is stored as fat, and unfortunately as many people know, our bodies are capable of storing a huge amount of fat. 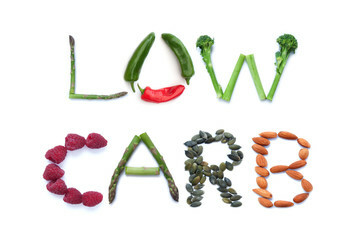 How does Low Carb Diets Can Zap The Fat! This becomes a vicious cycle, because if you then go on to eat more and more simple carbohydrates, your body will always use the most readily available fuel source it can, and will never get the chance to use its fat stores for energy. It will simply keep storing more and more fat, leading to obesity. In an ideal world where everybody eats a perfect balance of lean protein, good fats, complex carbohydrates and lots of green veggies, there would be very little problems controlling weight because the body is a very efficient machine. Unfortunately the modern day Western diet contains far too much processed and refined food, so our bodies cannot perform the way they were evolved to perform. When you reach a point where you have excess fat stores, the only way to encourage your body to break down those fat stores and use them for energy is to deprive it of it’s usual source, i.e. the quick fix you give it when you eat simple processed carbohydrates. When you reduce the number of carb you eat, you are basically forcing your body to break down your fat and use it for energy, and that is the answer to the question “How Do Low Carb Diets Work”! Be sure to incorporate as Plank exercise, yoga, then you will quickly lose fat as it wants. Hopefully with the scientific method of weight loss entirely new, overweight will not be a nightmare for you anymore. This method is considered the perfect diet, become lifelong lifestyle of many people because not only help lose weight, keep fit, but also good for health. Katie is a woman who love writing about the health on ReviewMoon. She has just published a Low Carb Diet review.